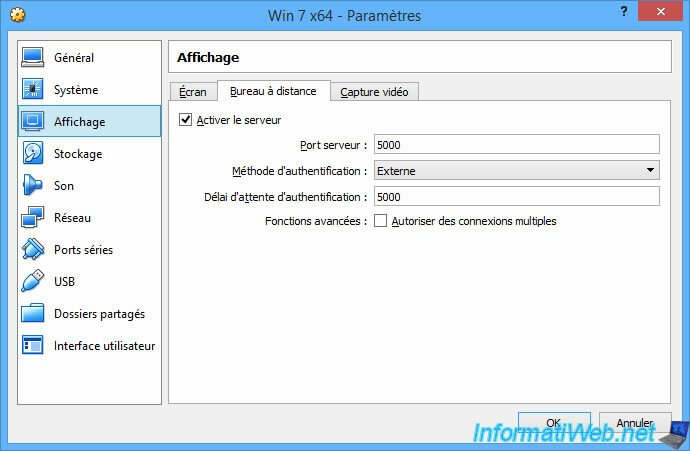 Finally, there is a second possibility to authenticate users for the remote desktop. This is simple authentication. But, this one requires some lines of commands to be configured. If you go in the settings of VirtualBox, via the menu : File -> Settings. You will see that the default VRDP authentication has become : VBoxAuthSimple. Then, type the command below to have your virtual machine use external authentication. Note : "Win 7 x64" is the name of our virtual machine. 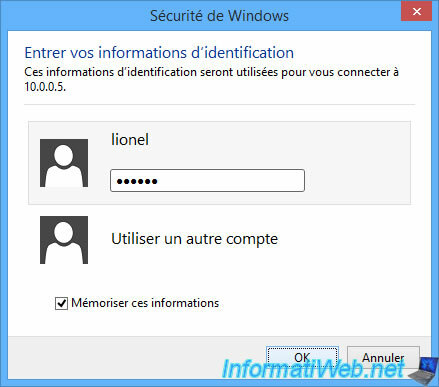 Finally, you must add the login and the passwords of the users that will be able to access the remote desktop in the settings of your virtual machine. 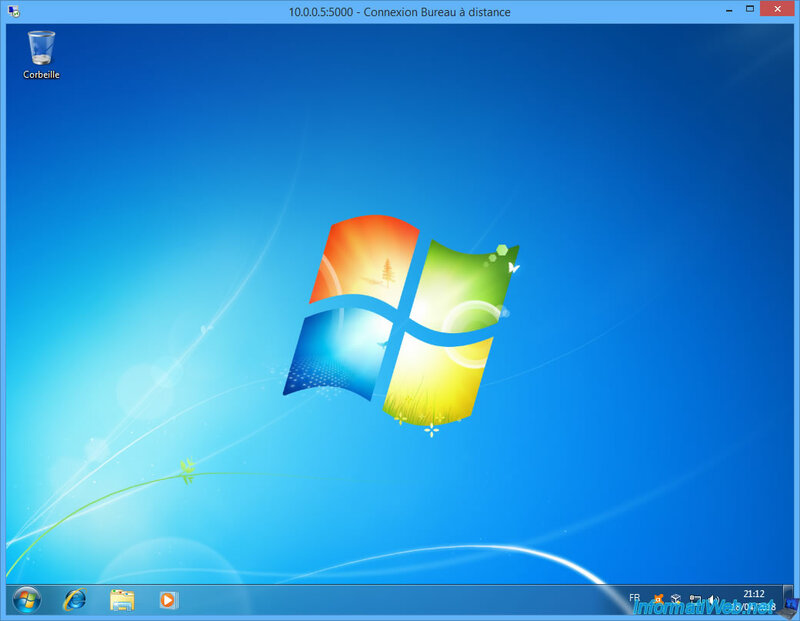 For that, you will have to generate a hash which corresponds to the password that the user will have to use to connect to the desktop of your remote VM. In our case, we will use this password : iwpass. Now that we have the hash of our password, we need to add the desired user to the configuration file of our virtual machine. 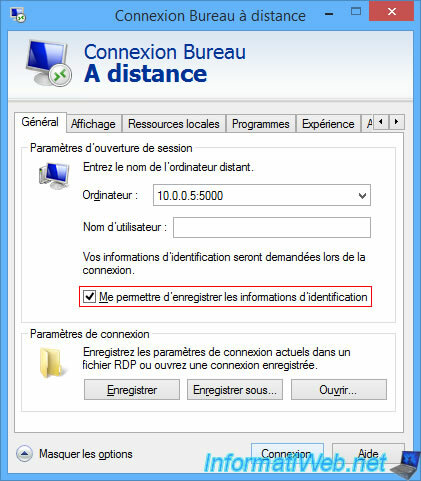 As you can see in the ".vbox" file of your virtual machine, a new "ExtraDataItem" line has appeared with the username chosen previously and the hash corresponding to the desired password. Use the user credentials that you just added in the extra data of your virtual machine. And you are connected remotely to the desktop of your virtual machine using an account defined in the settings of your virtual machine. For "guest" authentication that is also displayed in the virtual machine settings, it's still being tested by Oracle and is not yet supported. 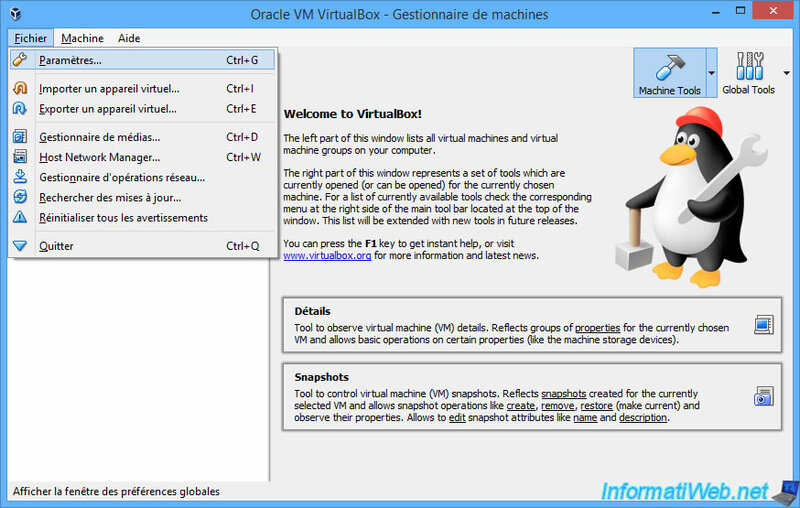 As you can see in the VirtualBox manual.